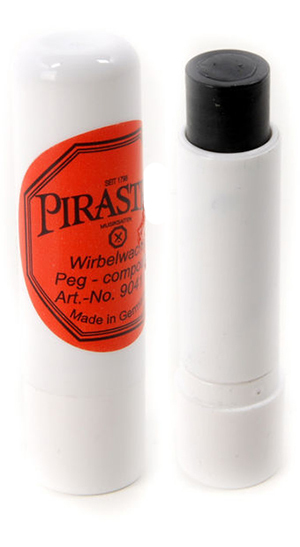 The Pirastro Peg Compound or Paste is a traditional cure for pegs that no longer turn easily. Apply this paste to the part of the peg that mates with the sides of the pegbox. It acts as a lubricant for sticky and difficult to turn pegs. 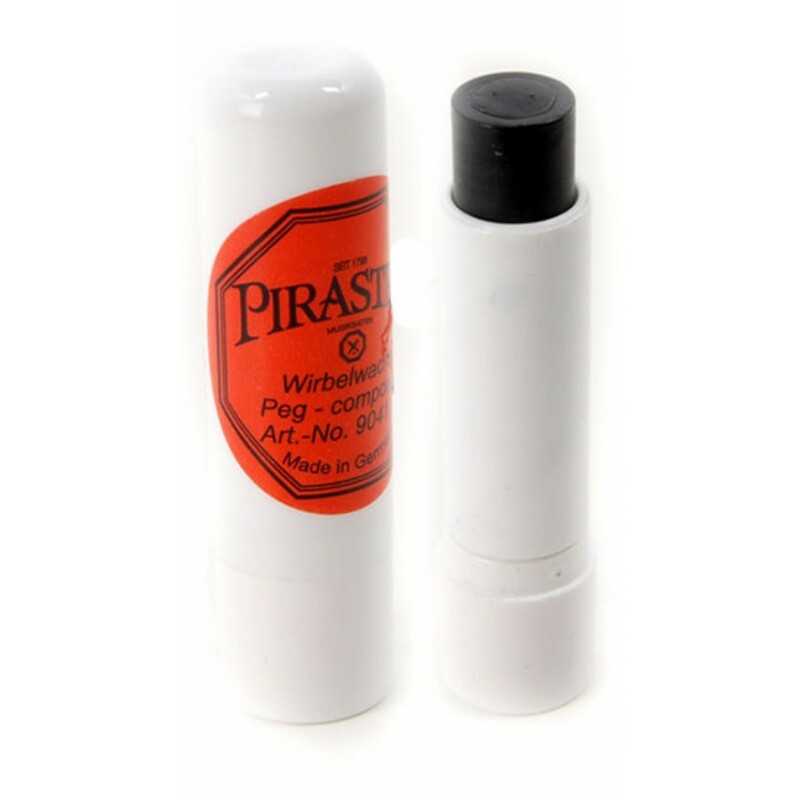 The Pirastro Peg Compound or Paste serves two different (and almost conflicting) purposes. It both lubricates the peg shaft so it turns easily in the pegbox and provides friction to keep the pegs from slipping with the force of string tension. Without the proper amount of friction to hold the peg in place, a tuning peg will tend to "slip", making a tuning setting virtually impossible to maintain. String instruments with pegs that are slipping can be tuned briefly, but will be out of tune within minutes as soon as the peg slips again. With too much friction, adjusting the tuning at all is impossible. Tuning pegs that are well fitted and properly coated will both turn smoothly throughout an entire rotation and hold firmly wherever the player wishes.